Aaron Ramsey contract situation continues to be a major subject in the English media as the Welsh International continues to keep Arsenal waiting on a new contract. Tottenham cult hero Jermaine Jenas has waded in on the debate insisting that Ramsey wants assurances over his playing position before commiting to a long term deal. Ramsey started in Arsenal 2-0 defeat against Manchester City operating in the hole behind the striker which is presumably his preferred role. This, however, poses a problem as the highest earner Ozil also prefers that same position and Jenas believes that is the major bone of contention in the contract negotiations. “I think he wants to play higher up the pitch and I get the feeling it was more Ramsey’s decision than Emery’s. 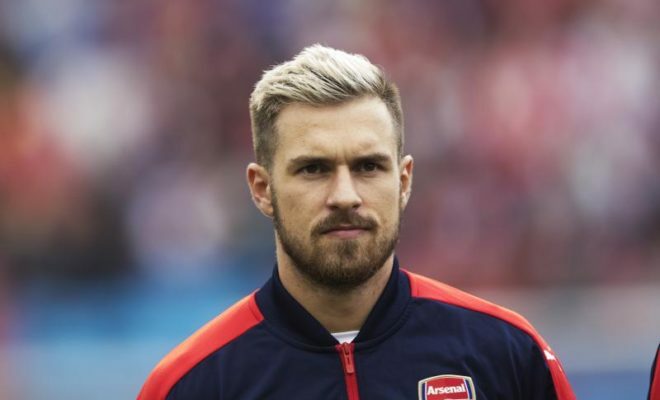 Ramsey is known for his late runs into the box and his ability to conjure something out of nothing and many Arsenal fans are hopeful of keeping the player. The 27-year-old is in the final year of his contract and would be free to negotiate with new clubs in January. Arsenal really needs the Welshman to sign a new contract to show a statement of intent to both fans and critics. Unai Emery has expressed his desire for the midfield dynamo to commit his long-term future with the club and form the core of the midfield this season.